The $50 bln payroll processor's stock shot up 11 pct after Bloomberg reported the hedge-fund manager had built a stake. 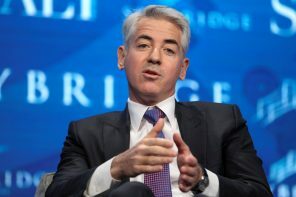 Neither Ackman's high-profile stumbles nor the middling performance of activists broadly proved a deterrent. Following blindly is a dubious investment strategy. An activist wants the $560 mln U.S. bookstore chain to go private. That makes sense for a fading business that needs work. The problem is finding a buyer on the other end. Amazon’s Whole Foods deal has everyone thinking. But Barnes & Noble may be nowhere on Jeff Bezos’ list. The Dutch paint maker’s new boss Thierry Vanlancker inherits his predecessor’s fanciful mid-term targets. The goals are backed by Chairman Antony Burgmans, a key opponent of a deal with PPG who may now find his position strengthened. Real change at Akzo is even less likely. Unlike his last proxy fight at DuPont, the activist is taking a more surgical approach, lobbying for one board seat at the $223 bln razors-to-detergent conglomerate. Trian is also supporting management and not calling for a breakup. Shareholders would be daft to turn him down. France's Lactalis is paying 20 times EBITDA for Danone's yogurt brand, or $875 mln. While American demand has propelled upstarts like Chobani to multibillion-dollar valuations, growth has slowed. It may be hard for the old-school label to woo new consumers. A pushy investor in $2.2 bln Deckers, owner of the trendy sheepskin-lined boots, issued an odd ultimatum to the board: sell the company or face a fight at the ballot. The numbers may stack up for private equity. It's a question of whether valuation and retail risk are too high. Days after being put on the spot by Dan Loeb, the Kit Kat maker said it would repurchase up to $21 bln of shares over three years. It's an incremental step, like a review of the U.S. candy arm. Ignoring bigger issues, however, could allow the activist to marshal more support. The pushy billionaire has set his sights on the Swiss Alpo-to-Perrier producer. Consumer groups such as P&G and Pepsi have proven tough activist targets. Loeb clearly likes a challenge, having recently agitated in lethargic Japan. And $263 bln Nestle may be a movable mountain. Chairman Robert Taubman survived a shareholder insurgence after his Taubman Centers agreed to force directors to face a vote every year. The late concession seemed to sway big funds – for now. Given industry woes and investor ire, the $3.5 bln company didn't buy itself much time. More than 90 pct of shareholders rejected the hedge-fund manager’s stock-split proposal. That removes a distraction for CEO Mary Barra. But GM’s stock is flatlining, U.S. car sales are sluggish and the competition for connected and self-driving cars is just getting on the road. The Dutch maker of Dulux paint thwarted a generous 25 bln euro takeover attempt from U.S. rival PPG without putting forward a convincing financial defence. As European governments reach for more power to fend off unwanted mergers, Akzo has shown how shareholders can lose out. A Dutch court threw out activist Elliott’s attempt to force talks between the paint maker and U.S. suitor PPG. That still leaves the other option: for PPG to appeal directly to shareholders. The 25 bln euro price looks attractive, and there is little downside in going hostile. The activist fund’s deal ending its bitter fight with the car- and plane-parts maker strengthens its grip on the board. It also puts one of its picks into the ring to be CEO. That shifts Elliott’s role from attacking poor results and governance to showing it can improve them. Medical-software firm Athenahealth trades at a big discount to rivals after expanding poorly and often missing estimates. Elliott’s 9 pct stake in the $5 bln company should allow it to douse colorful and erratic founder Jonathan Bush’s role as boss or force an outright sale. The $16 bln hedge fund has made governance a signature issue in its activist approach. In handing over investing duties to longtime deputy Mason Morfit, founder Jeffrey Ubben is showing he can walk the walk. Other hedgies who hold on too long might learn from this example. The fund has renewed its call for the miner to break up. BHP isn’t the only one with portfolio clash – rivals Rio Tinto, Anglo American and Glencore all have bits that don’t fit. But BHP’s oil business is well suited to a spinoff. Resistance makes it look more desirable.